I''m having so much fun reading their answers. I am asking you, dear blog friends, the same question. 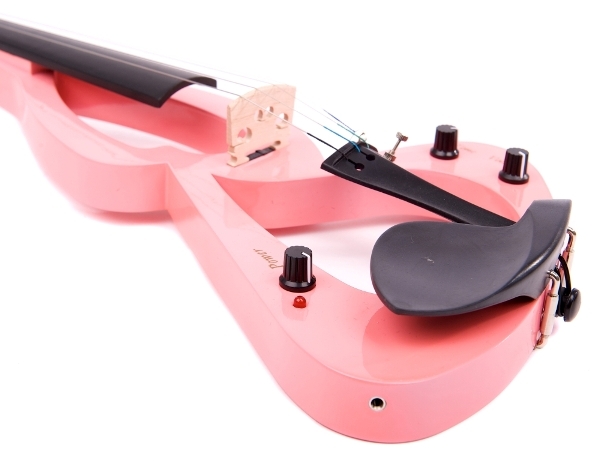 Wow, I didn't even know there was such a thing as an electric violin! Good question - I think I would buy and restore old houses. My husband and I have done that with several of our houses, but this economy is scary. That looks like a very interesting instrument. Retire from my job and start a business of my own. Hmm...I don't know what I would do exactly. I might have to choose what Renee said about starting my own buisness. I always wanted to do that and own my own shop!! I also might choose to be a writer and write a book or something. Such an interesting question!!!! Wow, I never heard of a electric violin? I would like to hear it being played!! Have a nice day!! Oh my! I have never heard of an electric violin. I played violin (the old fashioned kind) for 8 years. That pink beauty might tempt me to take it up again. I would LOVE to go back to performing on stage in shows. I would just love it!! I still sing, mostly worship leading at church. But oh! To be in a Broadway Musical!! I would SOOOOOO want to do that! Start my own quilting retreat... out in the country with a few animals for company... beautiful gardens... decorate beautiful guest rooms...have an amazing quilt studio... maybe a little quilt shop too! Do you know, that question was so much harder to answer than I expected. I would like to buy a house with a view and a bigger studio! I would definately become a dancer.I have loved dancing all my life and my oldest daughter enjoyed it as well. I love your new look! This is such a great question. I would write a book and also start a business. What's funny is that I actually bought a fiddle last year because I want to learn to play bluegrass. Of course it's still sitting there after a few attempts. Sigh. Soooo many things come to mind. Playing the violin is exciting. We have two old ones that no one plays. I would quit my job, move to MI to be with my Sissy and we would open a restaurant that only serves breakfast and lunch. It would be so yummy there is no chance it could fail. I'd love to be able to paint and draw. Ditto what my sister said. While many thoughts come to mind in many areas, I am thinking you mean naturally speaking so If I could be anything and know that I would not fail, I would be an artist who painted fantastic pictures that touched peoples hearts for the Lord. Nothing to do with the topic...Your blog looks amazing! I love it! !